Concrete Cylinder Transport Racks - Gilson Co.
Cylinder Transport Racks prevent damage to concrete strength specimens during transport and make it easy to handle multiple samples. Racks can also be used to protect cylinders in Curing Boxes or in the HM-112 Field Curing Chest during initial curing. HM-114 Transport Rack for 4in Concrete Specimens holds eight 4x8in (102x203mm) concrete cylinders, with or without molds for curing and transport. Plastic racks also allow easier handling of multiple cylinder specimens. Two racks will fit in the Field Curing Chest. 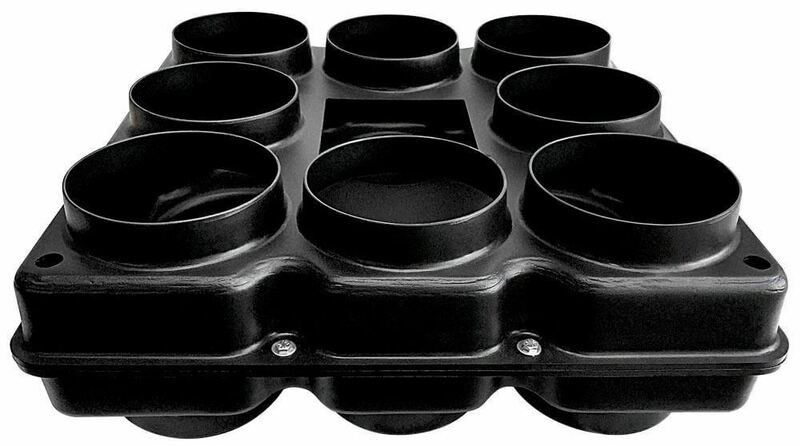 HM-116 Concrete Cylinder Transport Rack for 6x12in Cylinders is also designed to fit inside the HM-112 Field Curing Chest and can hold eight 6x12in (152x305mm) cylinders for initial curing and transport. This sturdy molded plastic rack is lightweight and waterproof.